Award: Fred Hodges, Family ReEntry’s Director of Community Affairs, to Receive Urdang-Torres Community Impact Award at Dinner, May 4, 2018. 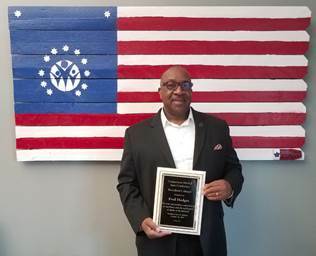 Please join us in congratulating Fred Hodges, Family ReEntry’s Director of Community Affairs, on being selected as this year’s winner of the Bridgeport Reentry Collaborative’s Urdang-Torres Community Impact Award! The award will be given to Fred at the Bridgeport Reentry Awards dinner on May 4th, details are below. This is the big award of the night folks! Those of us who work with and love Fred know there is nobody more deserving because of the tireless energy he puts into bettering the lives of others in the community. We are so proud of and happy for Fred and his family. Diana Whitney, Family ReEntry’s Special Project Manager (dianawhitney@familyreentry.org) will coordinate seating for all who can attend the event on May 4th. I hope to see you there.